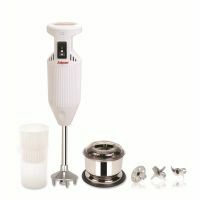 The smooth & food grade plastic body of this hand blender with stainless steel blade is easy-to-clean and maintain. It comes with a wall bracket which can be fitted to a convenient place in your kitchen for easy handling and well as to keep you kitchen counter and cabinet clutter- free. The blades are smooth and easy to clean and dry. The strong white plastic body can easily be wiped off to keep it sparkling clean. 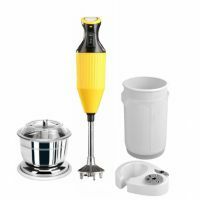 The non-reactive material of this blender is suitable for citrus juices also. 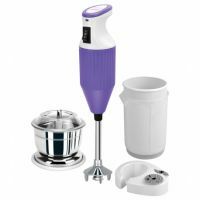 To Recieve updates and possible rewards for Jaipan Convenient Hand Blender (Pink) please sign in. To Recieve updates and possible rewards for Hand Blender please sign in.